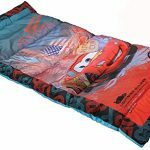 Includes Disney Cars Sleeping Bag and Backpack for easy storage! 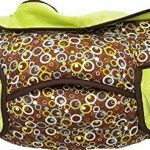 Great for Grandma’s house, sleepovers, parties, day care, road trips, and more! 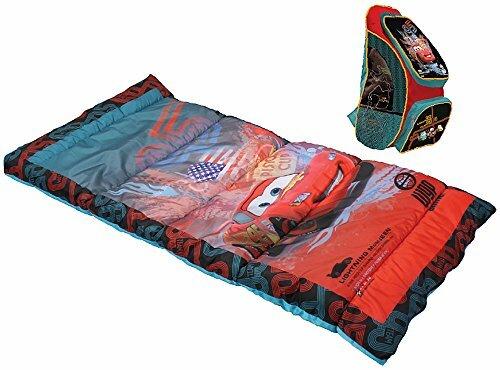 Disney Cars Sleeping Bag & Backpack by Exxel Outdoors. Send sweeties off to slumber parties with their favorite characters in tow. 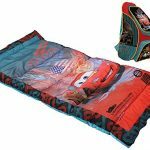 A sleeping bag and backpack decked out in Lightning McQueen is just the dose of encouragement a little one might need in a new situation. They’ll be off in dreamland in no time-that is, after eating popcorn and s’mores. 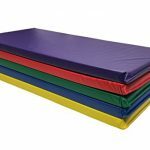 Recommended for ages 4 years and up; 100% Polyester; Meets industry standard CPAI-75. 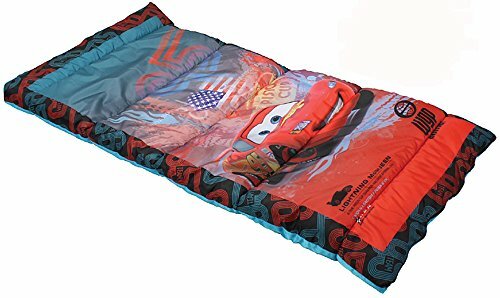 Perfect way for your child to enjoy sleep-time! 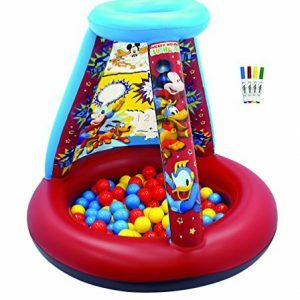 Perfect for Filling Any Ball Pit, Tent, Playhouse, Kiddie Pool, Playpen and Bounce House. Your little superhero will use for coloring fun, tic-tac-toe, creating word bubbles and learning numbers. Just use a damp cloth to erase the marker print and start all over again. 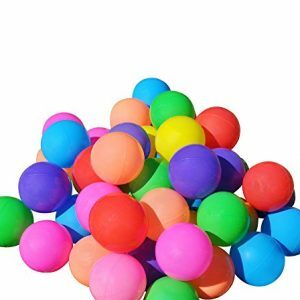  ENHANCE WITS & MOTOR SKILLS: Help your babies develop motor skills and hand-to-eye coordination with this set of wonderful play balls in striking colors! 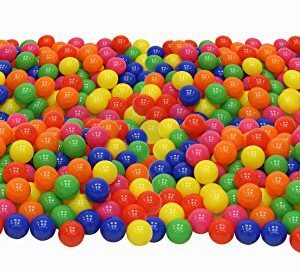 Each ball measures 7cm, which is larger than most out there and perfect for little hands. Excellent toys for pre-school or kindergarten children, outdoor and indoor play. 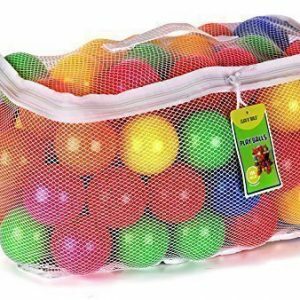  KEEP YOUR MIND AT PEACE: Don’t risk your child’s safety with unreliable pit balls! 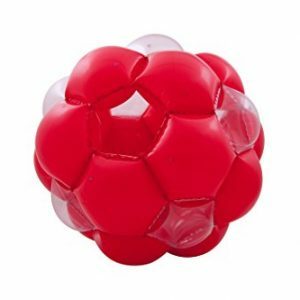 Make sure your toddlers enjoy 100% safe play at all times with these non-toxic, phthalate, lead and BPA free pit balls with no chemical smells or sharp edges.  STORE AWAY IN A BREEZE: Now you can keep your kids’ play tent, bounce house, kiddie pool or playpen clean and tidy at all times thanks to the super convenient, zippered mesh bag (included) for neat storage and easy transport. 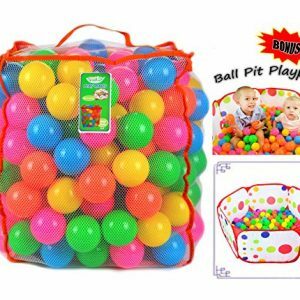 Beautifully packed and ready for gifting, these pit ball sets are perfect for baby showers and kids’ birthday parties!